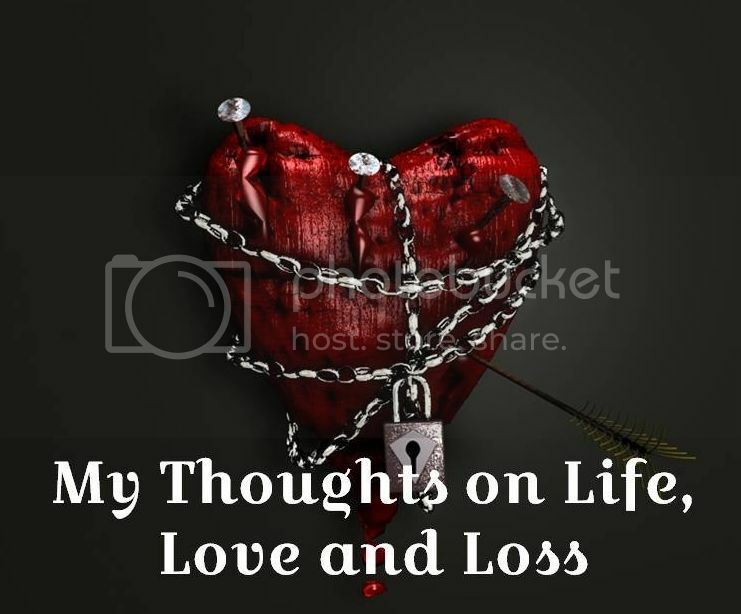 This is my own personal blog, filled with my own personal views on life, love, loss, and everything in between. It’s a hodgepodge of randomness. This particular blog discusses my own personal views on a variety of topics. Things that are meaningful to me. I love to read, so you’ll find posts pertaining to books. I love to help Indie authors promote their books, so you’ll find book tour stops, author interviews, book blitzes and other events. I’m fed up with our government and our self-absorbed politicians, so you’ll find some posts about that as well. I also get irritated with people I know in “real” life, so once in a while I’ll bellyache about that. In other words, I tap in to a wide variety of information when writing my blog posts. I want to thank everyone who takes the time to read my blog, post comments, subscribe and basically takes an interest in what I have to say. I welcome all questions and comments. If anyone understands the meaning of everything happens for a reason, it’s Melissa Hansen, owner of That’s My Impression. What was the result of a dream – literally and figuratively – has become a lucrative online business for Melissa and her young family. After taking jewelry classes in Cape Town, then receiving additional follow-up education in London and Tennessee, Melissa received her teaching credentials. This allowed her to take her passion for jewelry-making to a whole new level. “I had a dream about the name of my company three years before I started selling jewelry. I started making and selling my jewelry and I was hooked!,” Melissa says. While working in a dental office, Melissa was making a nice side income from her hobby of creating imprinted jewelry and selling her unique pieces to friends, family and coworkers. 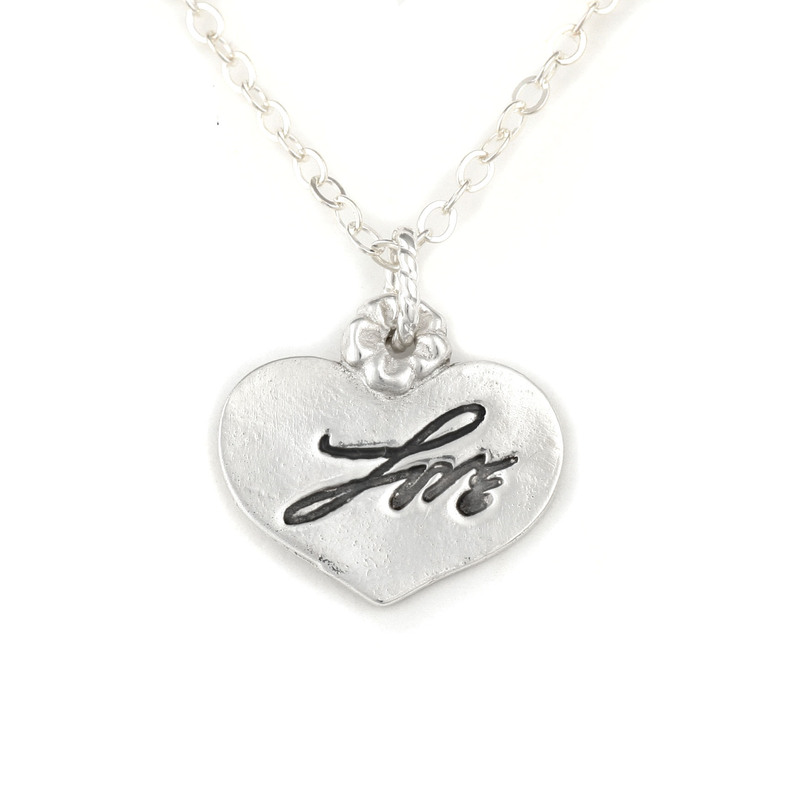 Her customers couldn’t get enough of her personalized jewelry. 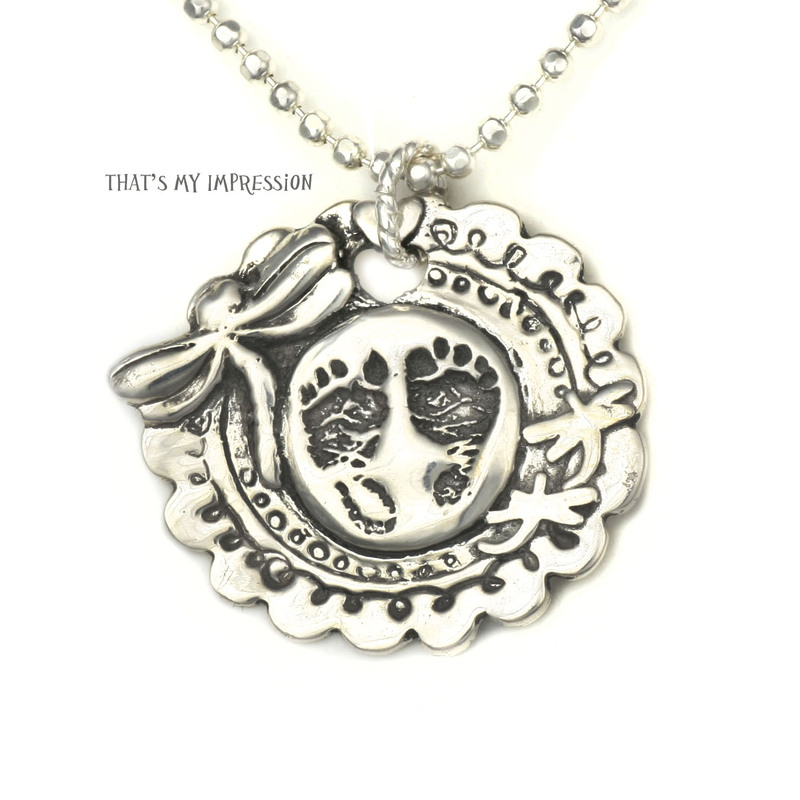 Who wouldn’t want to wear their children’s artwork or hand prints, and pet paw prints? Melissa soon found herself looking to turn her hobby into a full-time business. On a whim, she decided to purchase her own kiln from a private seller and got more than she ever bargained for. When she discovered the kiln’s owner was soon leaving on a mission to Israel and looking to sell her entire jewelry business, Melissa decided to take the plunge and become a full-time jewelry maker. Talk about kismet! Melissa opened her Etsy shop in 2010, but her local business kept her so busy she didn’t get around to listing Etsy items until 2012. It took just four days to sell her first piece. Almost three years later, That’s My Impression is still going strong and selling custom jewelry to happy customers all over the world. Melissa also sells her items via her own website. Besides selling her handcrafted jewelry on Etsy, Melissa has online shops on CustomMade, Hatch.co and ArtFire. Each piece is expertly handcrafted by Melissa using the techniques she’s learned while traveling the globe. Melissa uses only the finest precious metal clays available – all made from recycled materials and absolutely eco-friendly. “I was first introduced to Precious Metal Clay (PMC) in Cape Town. It was there that I decided that I wanted to become a jewelry teacher and, ultimately, to sell my own artwork. Since then, I have traveled the globe to learn different styles and techniques, both modern and ancient, that I’ve added to my product line,” Melissa explains. From these precious metals, Melissa creates personalized memorial rings, necklaces, pendants and cufflinks. 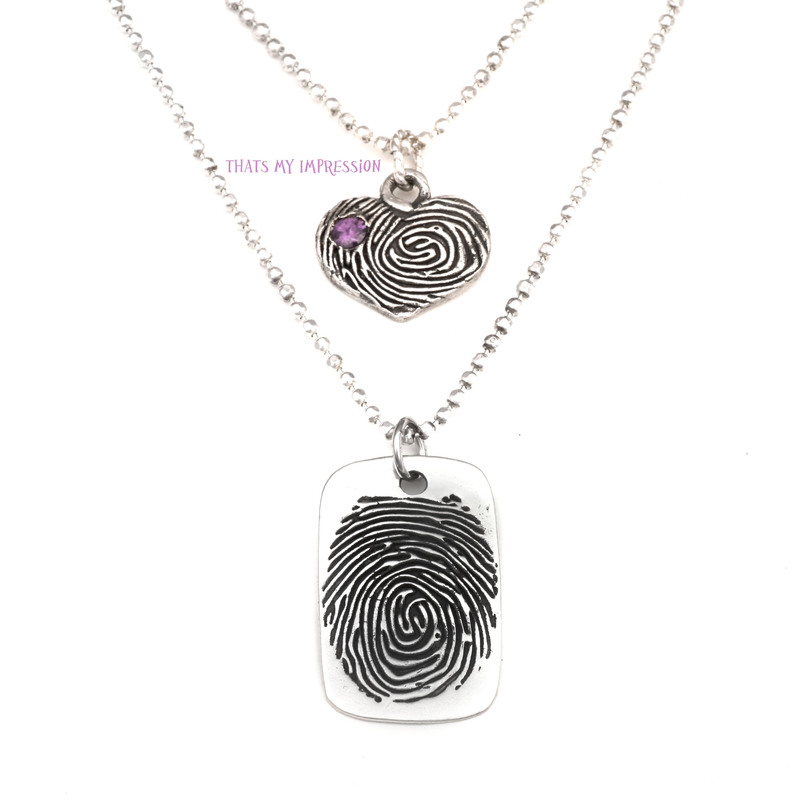 Each is handcrafted by using an actual fingerprint, thumbprint, hand print, footprint, pet’s paw print, child’s drawing, image, or actual handwriting – all from INK & PAPER or a photo. Molds are rarely used, and only at the purchaser’s request. Additionally, Melissa wants to be sure buyers know that, even if a loved one has passed on, she can still use a copy of their inked fingerprint or a note that they wrote. What a lovely keepsake! 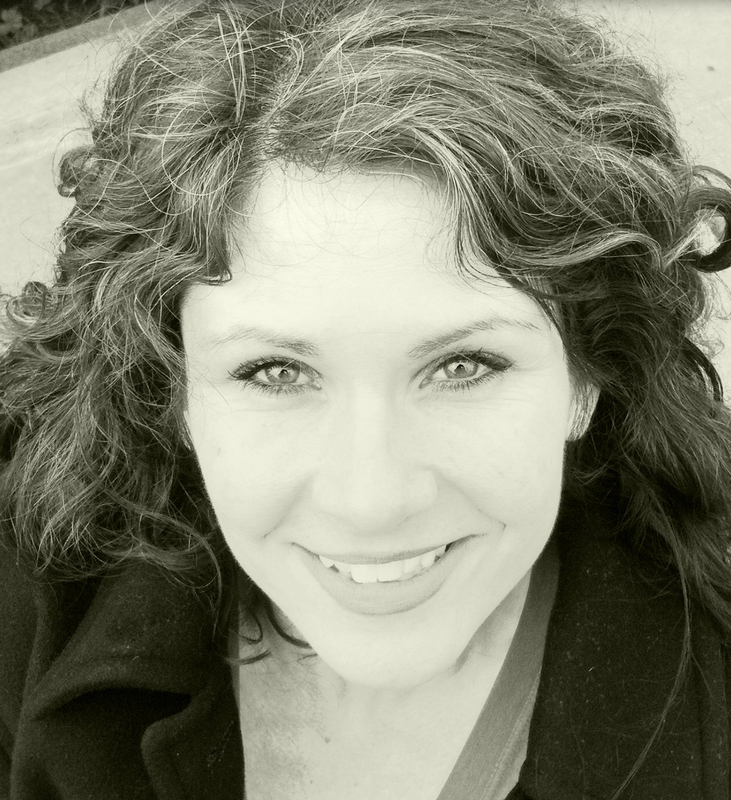 Melissa Hansen loves interacting with clients and customers. Be sure to connect with her on Facebook, Twitter and Pinterest. As a special gift to readers of this article, Melissa is offering a 15% off coupon, for a limited time only. Please use coupon code ThankYou215 at Etsy checkout. Have you ever thought about writing and publishing your own book? I’ve written a book that shows you how! I share all the knowledge I’ve gained over the years working with Indie authors. From choosing a subject, POV and tense, to the actual writing, publishing and marketing, it’s all included. I’ve made sure to include lots of great information for both new and experienced writers. How To Write, Publish and Market Your eBook is available on Amazon and most other online booksellers. For more information on how I can help you write, publish and/or market your book, please visit my website, eBook Review Gal. Thanks! 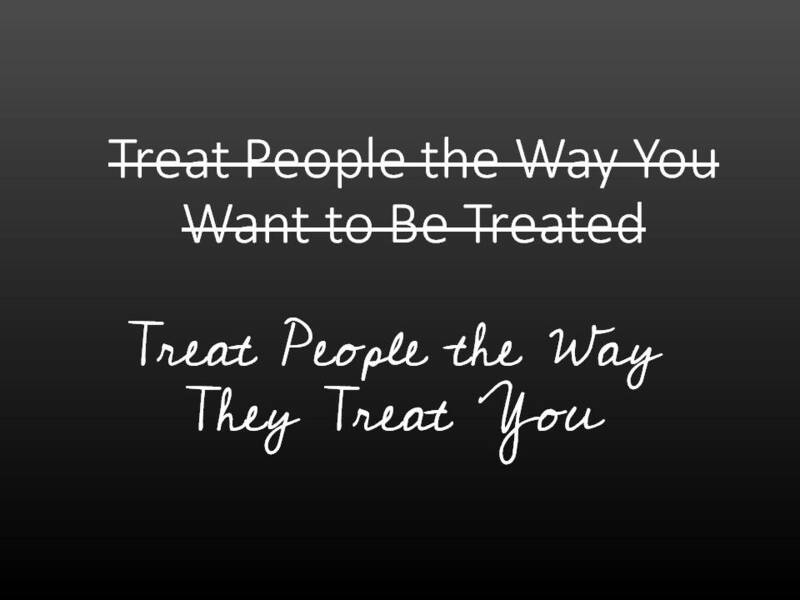 How Should We Treat Other People? I saw this phrase on my Twitter feed today and it made me think. I turned it into a photo just for the heck of it 🙂 So, what do you think about this? I’d love to know! Did you know the people who are the strongest are usually the most sensitive? Did you know the people who exhibit the most kindness are the first to get mistreated? Did you know the one who takes care of others all the time are usually the ones who need it the most? Did you know the 3 hardest things to say are I love you, I’m sorry, and Help me. Sometimes just because a person looks happy, you have to look past their smile to see how much pain they may be in. 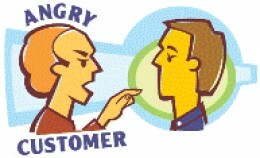 Not long ago, I wrote a HubPages article discussing the art of complaining to businesses. While my article gave most businesses the benefit of the doubt and discussed how they often want to know when customer service/products/services aren’t exactly up to par, once in awhile you’ll come across a business that really doesn’t give a poop (not for lack of a better word). It was my complete displeasure to encounter one of THE WORST customer service experiences of my life (and I’m no spring chicken). If you happen to reside in the DFW area, are in the market for some jewelry and are considering Marc Samuels Jewelers (the Grapevine Mills Mall location) I urge you to read my Yelp.com review. If you don’t live anywhere near here, I still urge you to read the review. It combines my usual snarky sense of humor with some head scratching information. Here’s my Marc Samuels Jewelers Yelp.com review. cast magic spells for no good. her adversaries could not hide. to use her tricks on those despised. Bide the Wiccan Law and Ye Harm None.